The South Australian Government has signed a Memorandum of Understanding (MoU) with the Confederation of Indian Industry to help local defence businesses establish closer economic ties with their Indian counterparts from the private and public sectors. The document was signed last week during a visit to India by a SA trade delegation led by Minister for Trade and Investment Martin Hamilton-Smith. Mr Hamilton-Smith said the agreement would provide SA defence companies with fresh business opportunities in India’s defence sector. “Defence is a central pillar of the state’s economy, employing 28,500 South Australians and contributing about $2 billion to our economy each year,” the Minister said. The signing of the MoU comes a year after Prime Minister Narendra Modi and Australian Prime Minister Tony Abbott extended defence cooperation between the two countries to cover research, development and industry engagement. 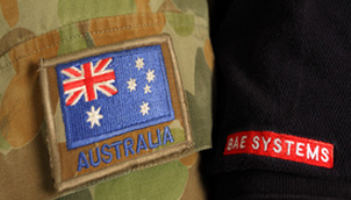 “BAE Systems Australia has worked successfully with India in the past, supplying Hawk simulators and training devices to the Indian Air Force for Hawk pilot training. We are looking for more local companies to replicate this over the coming years,” the Minister added. The SA trade delegation in India also included Sir Angus Houston in his role as South Australia’s Special Envoy Trade and Investment and the Defence Teaming Centre Chief Executive Officer Chris Burns. Mr Burns said it was evident from the outcome of the SA trade mission in India that the country’s Government’s has made a fundamental shift in its approach to its defence industry. “The signing of the Memorandum of Understanding is timely in that it allows South Australia’s defence industry to collaborate through the auspices of the Defence Teaming Centre and the Confederation of Indian Industry to pursue mutually beneficial opportunities,” Mr Burn added.